Bacon & Maitake Mushroom Toasts - Recipe! - Live. Love. Laugh. Food. Bacon & Maitake Mushroom Toasts – Recipe! Maitake Mushrooms, or “dancing mushrooms” are of Japanese origin and are cultivated here in the United States. Maitake mushrooms have medicinal qualities, but that’s not the reason to eat them, they are just plain delicious. Most mushrooms pair nicely with bacon, but Maitakes are especially flavorful and hold up to cooking. 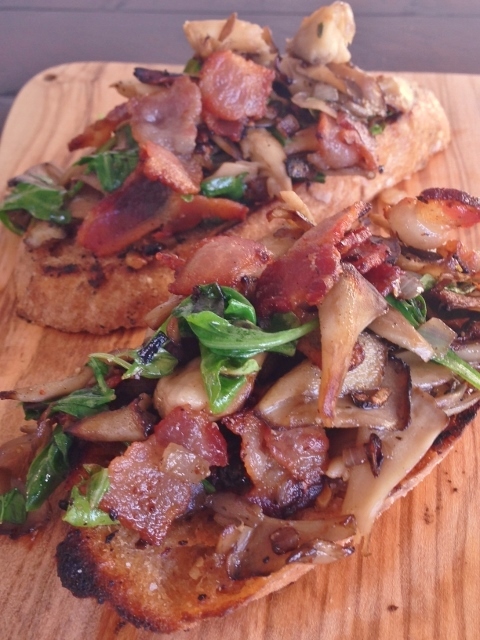 The earthiness of Maitakes, along with the pork makes these Bacon & Maitake Mushroom Toasts more like a meal. 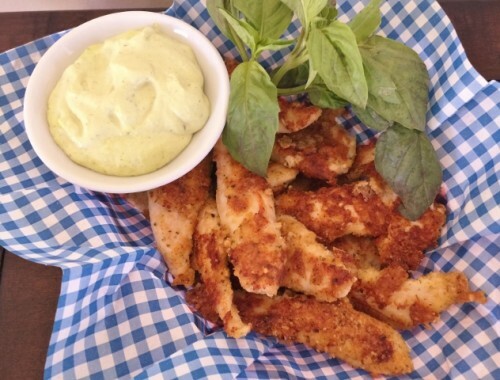 I like to serve these as a hearty appetizer, along with a few other lighter bites at parties, or as a main course for dinner with salad during the week. 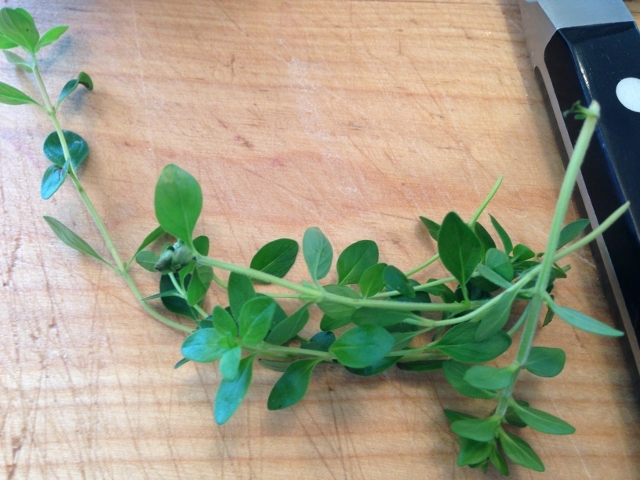 A light squeeze of lemon and fresh thyme leaves right before serving at a brightness to the finish. Also, these toasts pair nicely with a Pinot Noir or Chardonnay. 1. Wipe off any dirt from your Maitake mushroom with a clean kitchen towel. 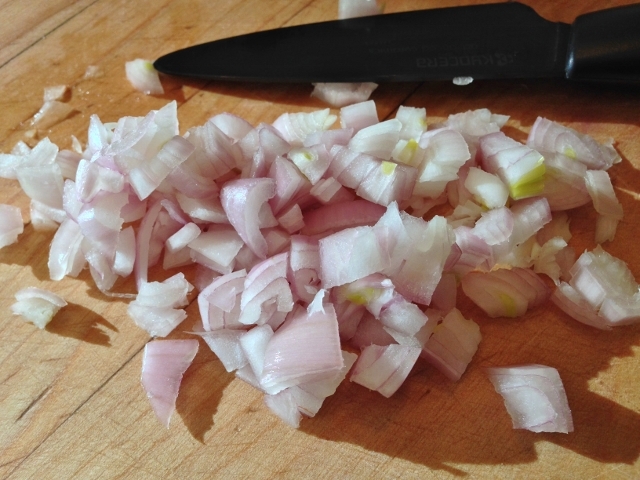 Mince shallot and remove leaves from the thyme sprigs. 2. 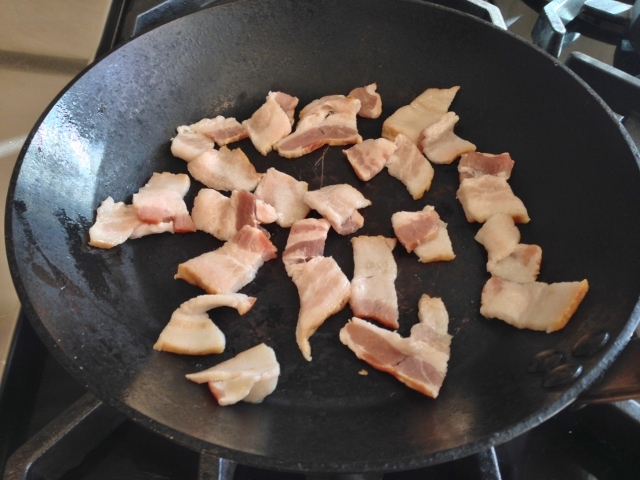 In a large iron skillet, cut up 2 slices of bacon and add to pan, place over heat medium-high heat. Cook bacon until it is golden brown, about 7 minutes. 3. 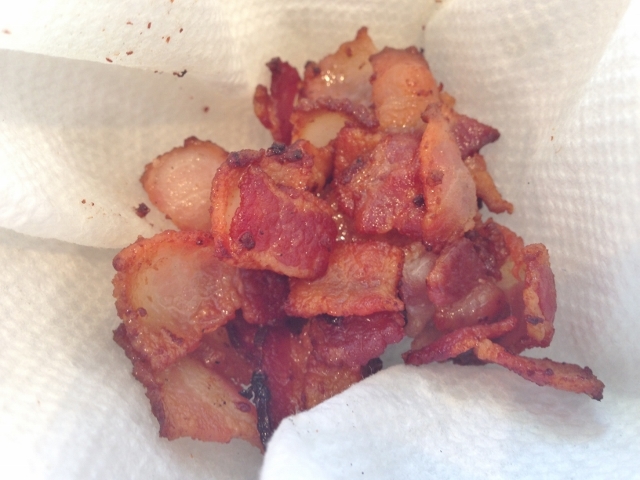 Remove bacon pieces with a slotted spoon and place them on a paper towel lined plate. 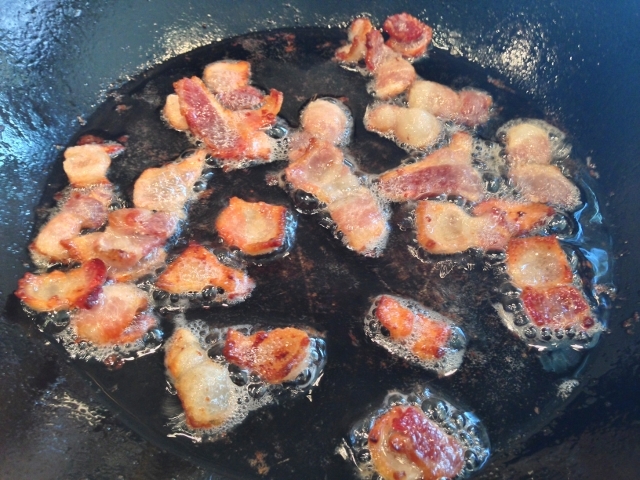 Drain most of bacon drippings from skillet, leaving about 1 tablespoon. 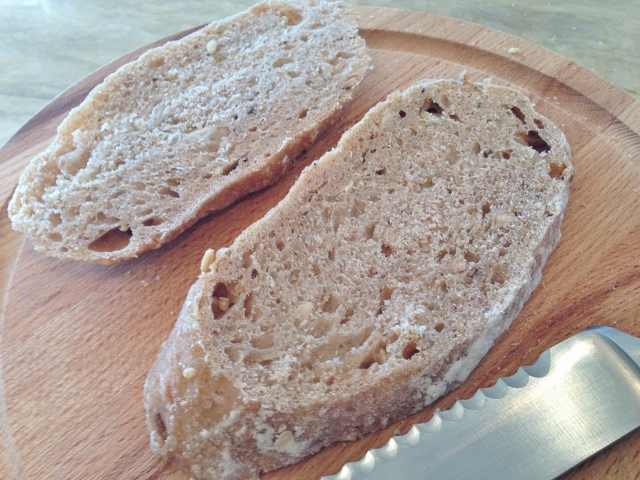 Slice 6 pieces of rustic bread and place skillet over medium heat. 4. Toast bread in bacon drippings for 4 minutes, or until golden in color. 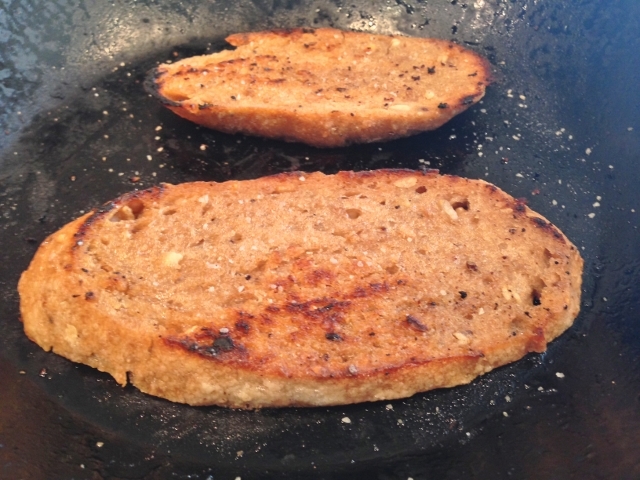 Remove toasts from the pan and set them aside. 5. Slice Maitake mushroom into medium-sized chunks and add it to the skillet, along with 1 tablespoon of butter and diced shallot. Turn heat up to medium-high and saute mushrooms for 8 minutes. 6. 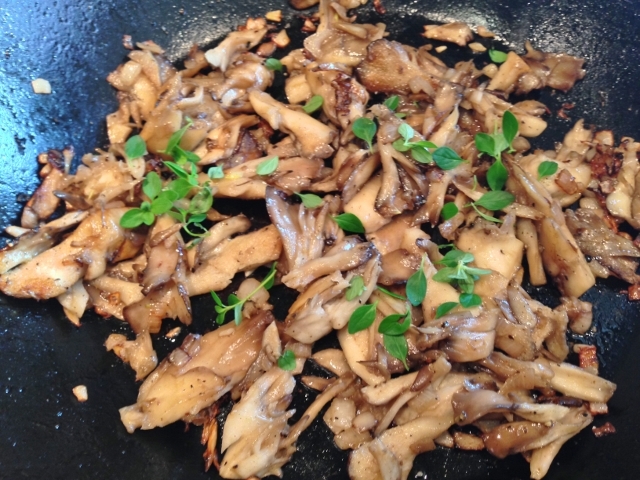 Add fresh thyme leaves to mushrooms and stir to combine, continue to cook for 1 minute. Add arugula and juice of half a lemon to mushrooms and stir to combine. 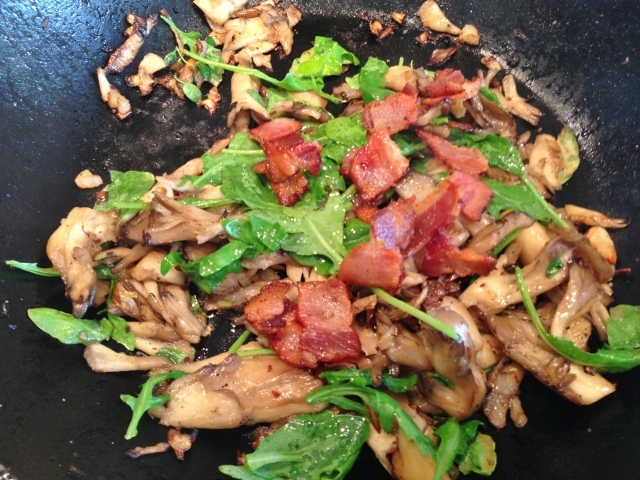 Stir in bacon into mushroom mixture and turn off heat. 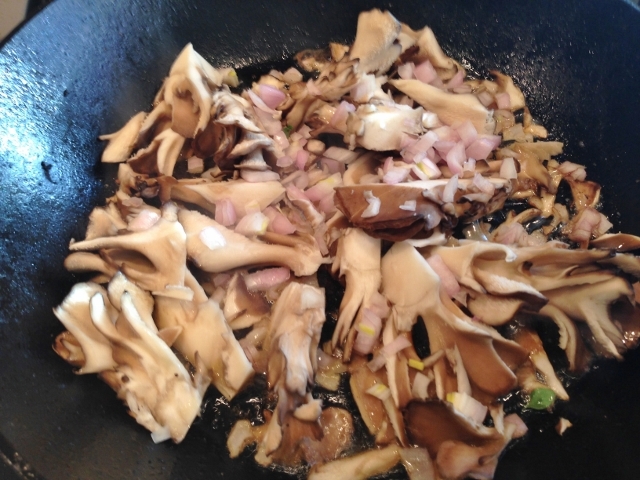 Pile Maitake mixture onto toasts and serve immediately. Enjoy! 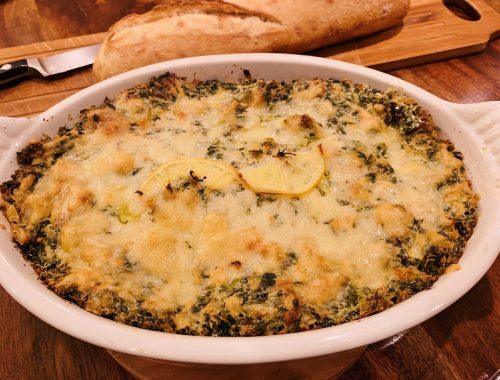 Roasted Lemon Spinach & Artichoke Dip – Recipe! 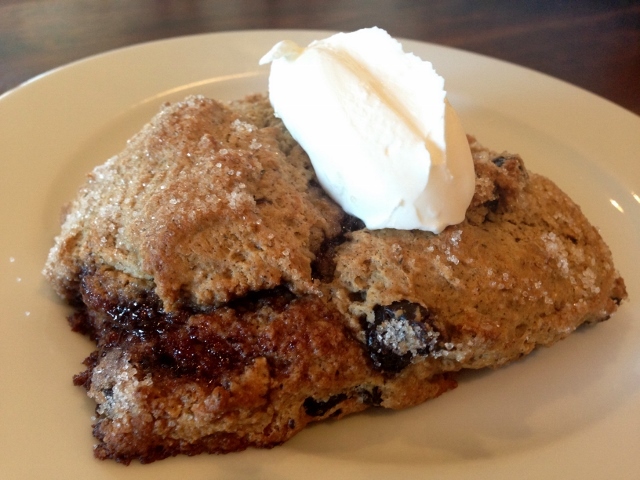 Blueberry Buckwheat Scones – Recipe!